Anas is a Decorative & Antique Rugs and Oriental Carpet Specialist, Rug Dealer and fourth-generation Master Rug Craftsman. 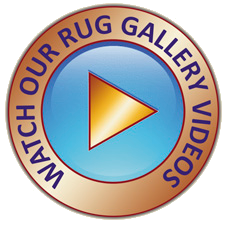 Credited with over 30 years of professional specialist knowledge and skilled expertise in the rug and carpet field, Anas' reputation is second to none and is hailed as “one of the finest rug experts in the UK”. Together with his wife Sandre – the company's award-winning Decorative Arts & Creative Director, they are the Proprietors of The Oriental Rug Gallery Ltd established in Wey Hill, Haslemere. As a Decorative & Antique Rugs and Oriental Carpet Specialist and Rug Dealer, Anas' years of accumulated knowledge, expertise and professional appraisal skills are often cited for assessing rare, unusual and antique pieces, as well as for sourcing an array of new, old, antique, rare and unusual individual rugs and carpets for their provenance, craftsmanship and fine quality to stock in The Oriental Rug Gallery Ltd. These valuable skills are also applied in providing Gallery customers' and rug collectors world-wide, with professional, insurance-approved Written Valuations, a bespoke Rug Sourcing Service, and accurate details used for Textile Archiving Records, Period-dated Rugs and Oriental Carpets for use in Films & TV, Written Articles and Talks. As a Master Rug Craftsman, Anas is now one of the few remaining rug professionals to have completed the traditional eight-year Rug Craftsman apprenticeship, which guarantees specialist training and skills in all aspects of rug cleaning, stain removal and corrective treatments, weaving, dyeing, repairs, restoration, alterations and conservation skills. 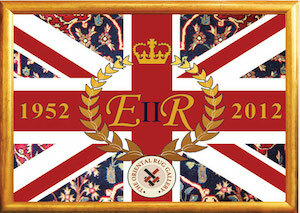 The Family Rug business was originally established in 1910, where they celebrated its 100-year Centenary in 2010, with their completed creation of the Haslemere Coat of Arms Rug Weaving. Like his Great Grandfather Mehdi, his Great Uncle Kasim and his father Suhil before him, Anas and his brother Mode both choose to complete the traditional eight-year Master Rug Craftsmen apprenticeship. 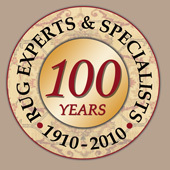 To date, the family have established Rug and Oriental Carpet businesses in the US, Denmark, Lebanon, France,Germany and the UK. From an early age, Anas was surrounded by beautiful hand-woven weavings in the family home. Regular visits to the family’s Oriental Rug Gallery shop and its Restoration and Cleaning Workshops after school, fuelled a deep innermost passion to learn all there was to know about rug and carpet weaves, their knot types, motifs and origins, as well as initially studying dyes, restoration and cleaning techniques. 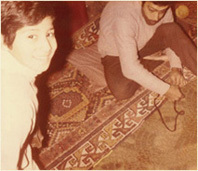 At the age of 15, having received an enthusiastic response from his father's clients and other carpet dealers for his fine restoration of a rare Qashqai (south west Persian) collector's piece, Anas began the traditional eight-year rug apprenticeship training, after school hours. This involved learning the skills of the craft initially as an apprentice to his father. At aged 16 and again at 17, during the three-month school summer holidays, Anas had the opportunity to further develop his rug skills. 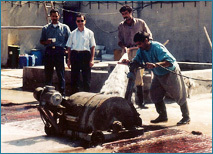 Encouraged by the highly favourable replies to the Letters of Introduction from his father and fuelled by his desire to learn all there was to know about rugs and carpets, Anas travelled to the specialist rug cleaning workshops in Veramine, Northern Tehran, in Iran. Here, he studied hand-washing techniques, stain removal and corrective treatments for silk and wool rugs and the age-old secrets of how to fix colour runs using natural methods, with Masters of the Craft. He now applies these skills to customers' rugs awaiting cleaning in the Gallery's Rug Cleaning Studio. While in Tehran, Anas also studied and became fluent in the Persian language of Farsi. This linguistic skill would later prove to be an invaluable tool in helping to further develop his rug and carpet skills. It also enabled Anas to further extend his family’s invaluable rug merchant trading links with tribal weaving families across the Central Asian plateau, originally set up by his great grandfather Mehdi more than a century ago. Anas’ apprenticeship journeys to Tehran were the first of many fascinating world-wide rug and carpet sojourns he would make during his lifetime. Here, his specialist rug knowledge of fine quality, rare, unusual and antique pieces broadened and vastly increased, helping him to find and source beautiful, rare weavings during his travels, for the family's Oriental Rug Gallery shop. At 18, Anas achieved a 'distinction' in his International Baccalaureate Diploma at school. This top grade ensured he was awarded a coveted place at University to study Sciences, should he choose. His passion for rugs, however, made him realise that his true vocation lay in developing and honing his rug specialist skills and to follow in his father's, his great uncle's and his great-grandfather's footsteps. This decision proved to be one of the most important and defining moments in his life. 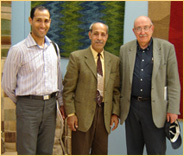 To further broaden his rug weaving, restoration and conservation skills, Anas studied at a Weaving & Textile College. After completing this one-year course, his father arranged for Anas to travel to the Baluch regions and then on to the Turkmen regions in Central Asia to study the full range of weaving techniques including: flat weaves, such as Sumac and Kilim; and tapestry and knotted-pile weaves, such as Chuval, Torba and Asmalik, with Master Rug Weavers. Later, Anas travelled to south east Turkey, where he studied hand-dyeing and colour-matching skills with the Kurdish tribal people of Diyar bakir. He now applies this knowledge and skill to accurately match up damaged colour areas in either antique, decorative or contemporary rugs and tapestries, using a vast range of natural hand-dyed wool, silk and cotton yarns. Anas also has all the necessary expertise to individually hand dye any wool, silk or cotton threads to create an exact colour match for any weave he restores. These newly dyed threads are then added to the 'Wall of Wool' colour range displayed in our Rug Gallery's Repairs and Restoration Studio. Sadly, over the years, many of the Master Rug Craftsmen Anas has the privilege of studying with, have either been displaced by the continual demise of ancestral ways of living and the shifting of tribal boundaries or have passed away, taking their valuable rug and carpet skills and previous generations of knowledge with them. 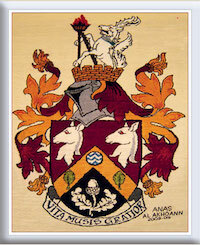 They have left only a few traditionally-trained rug experts in their wake – Anas being one of them. 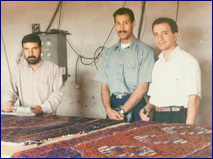 After completing his eight-year apprenticeship, Anas returned to join the family rug business. His specialist knowledge, detailed sourcing, accurate assessment, valuations and appraisal expertise of rare, unusual and antique pieces, as well as his rug conservation, repair, restoration, weaving, colour dyeing, cleaning and stain removal skills became much in demand. Word of this passionate rug expert spread and Anas’ reputation as an esteemed Decorative & Antique Rugs and Oriental Carpet Specialist and Dealer and Master Rug Craftsman increased, as did his clients and their commissions who travelled from Europe and even as far as America, specifically for his skillful expertise, in-depth knowledge, and the outstanding results of his craftsmanship. One such client was Jose Lucyzc-Wyhowska, who owned The Kilim Warehouse in London, UK. She was so impressed with Anas’ rug and oriental carpet expertise that she recommended him to a number of top UK rug specialists and collectors and a slew of UK client commissions followed. 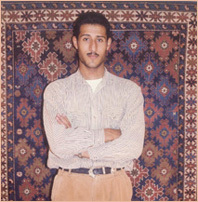 In 1997, encouraged by the overwhelming positive response for his specialist rug skills and after several initial visits, Anas moved permanently to the UK and accepted British Citizenship. Later that year, with a list of prestigious clients requesting his rug specialist expertise and craftsmanship, Anas set up his Oriental carpets, antique and decorative rugs, kilims and tapestries business in the UK. 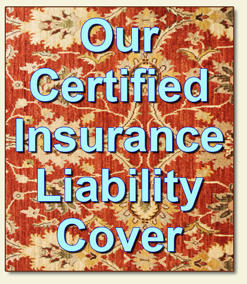 His skills and sought-after knowledge in the rug and Oriental carpet field continued to bring a world-wide range of eager clients – seeking professional rug services at reasonable prices – beating a path to his door. 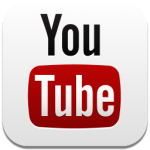 Such was its initial success, that business flourished. "I see myself as a 'rug specialist', 'rug dealer', 'carpet custodian', and 'conserver of craftsmanship' in equal measures. Here, I use my rug expertise, knowledge and passion to accurately analyse the origins of weave, style, age, knot type, spun thread technqiue, condition and market value, when individually sourcing and assessing each of the hundreds of pieces we stock for purchase in the Gallery and when reviewing customers' pieces for our services, while my tradtionally-trained repair, restoration, alterations, colour dyeing and cleaning & stain removal skills are used to complement and preserve the existing weave craftsmanship. " Over the years, Anas's Rug Specialist expertise, Rug Dealer knowledge and Master Rug Craftsmanship skills as well as the family's long-standing and highly esteemed reputation in the rug and carpet field, have given him the opportunity to source unique and bespoke-to-order pieces, professionally appraise and assess rare, archived and historic pieces for private collectors, royal palaces, film studios and on-location TV, and work with all types of antique, decorative and fine quality pieces, as well as taking conservation commissions from a wide variety of prestigious clients, worldwide. His superb restoration of Jose Luczyc-Wyhowska's rare and specialist kilim pieces was later featured in the best selling and important reference tome entitled: 'Kilim, the Complete Guide'. An Agra Carpet featured in Christies' 'Oriental Rugs and Carpets' April 2004 catalogue. His invisible restoration work was "highly commended" by the Oriental Carpet Specialists at Christies. A Kuba rug featured in the Rippon, Boswell & Co. May 1998 catalogue. A Ningxia Five-Clawed Dragon carpet fragment, dated first half of the 18th Century, featured in a Chinese Imperial Catalogue. An Indian silk Isfahan carpet dated late 18th Century, hung in a private stately home. A Kuba rug featured in the HALI 2003 catalogue. Rare collector Turkmen pieces for Dr D Ruben that were later featured in specialist collector catalogues 'Guls I' and 'Guls II' 2000-01 and exhibited in New York and across America. Rare and valuable antique pieces for world-wide eminent collector sand conservers of the world's most rarest rugs and fragments. An Agra carpet, housed in Kensington Palace. A rare Top Kapi 16th century, Ottoman Palace commissioned wool and silk weaving. An exquisite collector's piece and the most complete of one of only five still in existence. Read this article in our Gallery News page entitled: 'G-Blog' (see menu at top of page) for more details on Anas' amazing find! 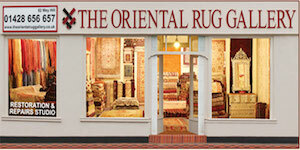 In 2007, Anas, together with his wife Sandre, established The Oriental Rug Gallery Ltd in Wey Hill, Haslemere, in Surrey. 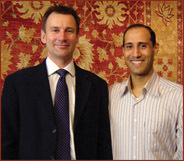 The Oriental Rug Gallery Ltd offers the opportunity for Anas to combine his Decorative & Antique Rugs and Oriental Carpet Specialist and Rug Dealer knowledge and traditional Master Rug Craftsmanship skills, with Sandre’s award-winning and extensive background in decorative arts and creative design. Their joint passion is currently focused on gathering together a striking collection of antique and decorative hand-woven pieces for the Gallery, while drawing inspiration from their combined long-standing skills and specialist experience in the rug and carpet and creative fields. 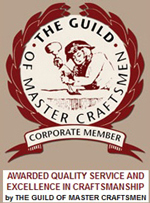 With their combined knowledge, skills and expertise, they can also provide insurance-approved written valuations, anti-slip rug underlay, a rug and textile wall hang technique, expert repairs, restoration, alterations, as well as their professional deep-wash cleaning and stain corrective treatment works and services, to conserve their customers’ valued pieces – all undertaken in The Oriental Rug Gallery Ltd's custom-built Restoration and Cleaning Studios, and all under one roof! While Anas and Sandre's creative vision is to establish a philanthropic legacy – producing works of decorative beauty that not only inspire, but also highlight the preservation of of heritage, through traditional, hand-weaving craftsmanship for future generations to enjoy.